Tune in as Koereyelle and V give you the latest in celebrity and relationship news! 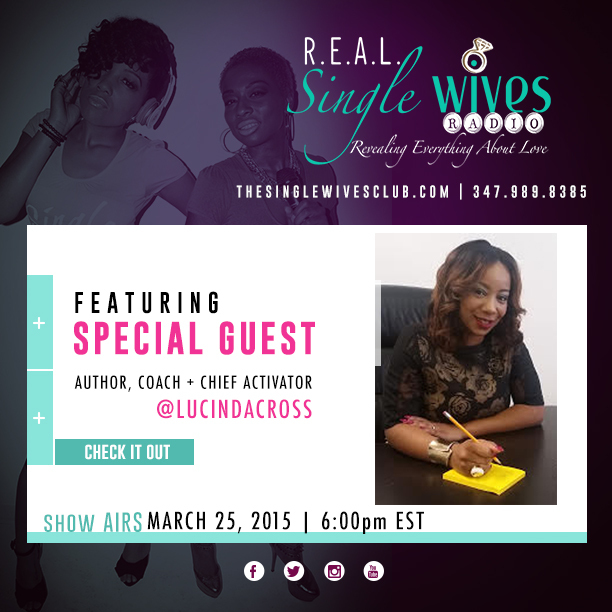 Our featured guest is”The Chief Activator” Lucinda Cross who will share ways to ACTIVATE the your dreams and turn them into reality! She’ll also talk about her experiences with vision and love boards and how she uses these tools to manifest all that she desires! Plus, Get Direct with Deya Direct at 6:45pm EST!